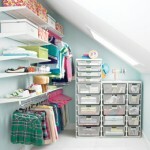 Hi, my name is Susan, and I need a closet organization strategy that works. Disclaimer – the above photo is the prettiest photo you’ll see in this blog post. It’s not that kind of story. 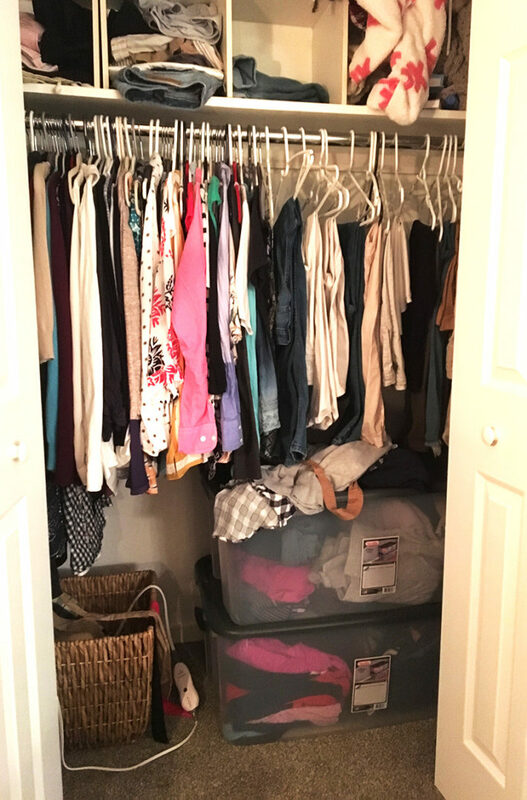 But if you take advantage of these closet organization tips from the editors from Real Simple magazine, you will find YOURSELF looking more put together and in less time – you’re worth it! Plus, there’s a giveaway at the bottom of this post, so stick with me! The temperature dipped unexpectedly and I needed a sweater to wear to work. My cold weather storage bin was located at the bottom of my closet, underneath the still half-full spring bin. I had to pull both out, then dig like a pup looking for a bone until I found the (now) wrinkled gray sweater I had in mind. (I may have pulled something in the process). Next came shoe choice. I spent three minutes digging out a pair of black socks from the back of my drawer to go with my cute black loafers. Triumphant, I went to pull my loafers out of the closet where my shoes live. Darn it. I remembered they are in the cold weather shoe bin in the basement. I gave up and switched to tennis shoes. Sigh. I went to work wrinkled and with shoes that didn’t do anything for my outfit. No joy was sparked that day. There must be a better way. 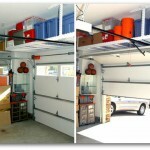 Eliminate need for off-season storage maneuvers. 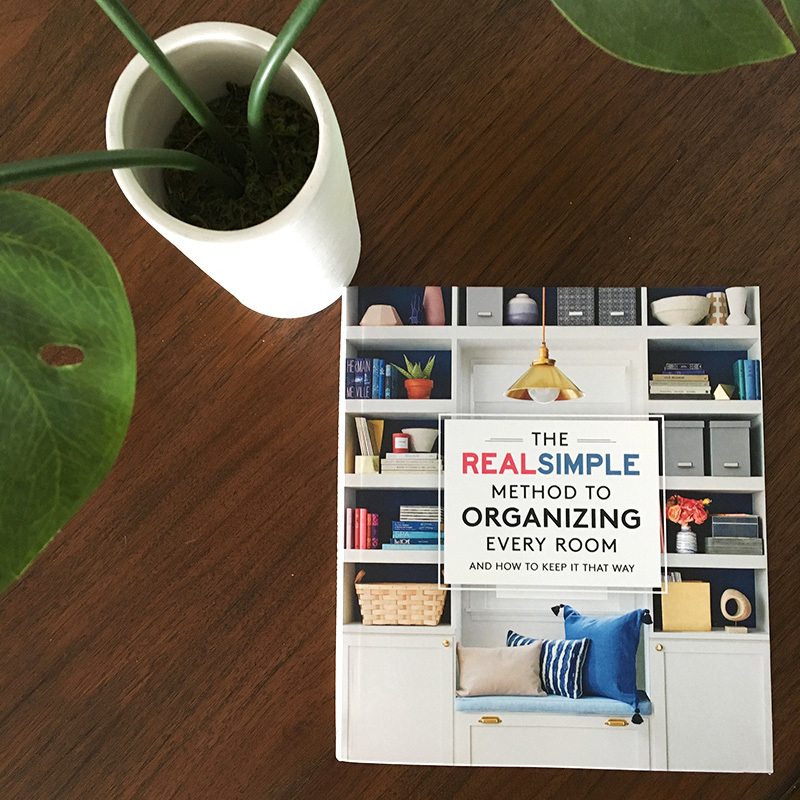 I was asked to review the new book “The REAL SIMPLE method to organizing every room and how to keep it that way” book from the Editors of REAL SIMPLE magazine. Timely! The book covers every room in the house, but I zoomed in on Chapter 5, pages 124 – 130. 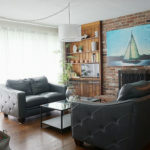 I found great tips and tricks for making organization beautiful AND sustainable. In fact, I was so excited about this book, I’m giving a copy away! (Enter at the bottom of this post). It’s not about fitting everything I own back into the closet. It’s about picking out what I want, and removing the rest. Pretend you’re going on a long trip and can only take what fits in ONE suitcase with you, what makes the cut? 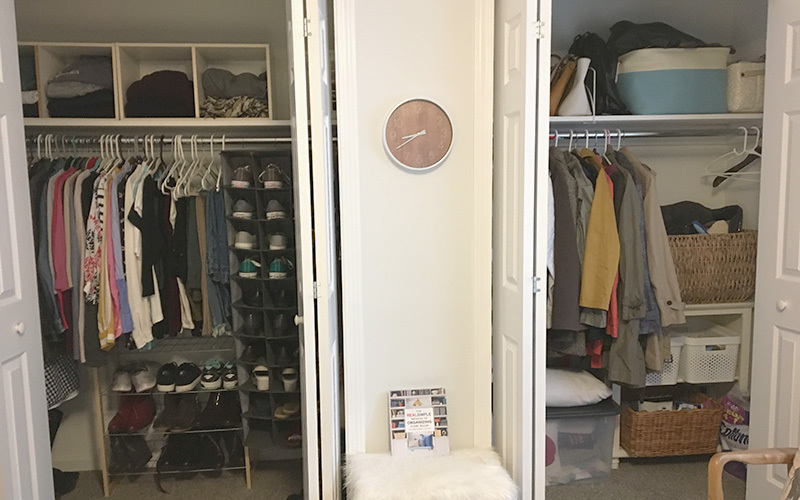 Before I could try the closet organization tips from the Real Simple book, I had to COMMIT to purging. 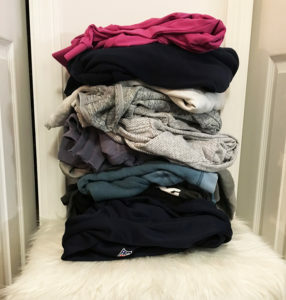 Seriously, how many hoodies does a girl need? (Ok, maybe that’s not the best example). With the help of my 13-year-old daughter for yay/nay votes, I (tearfully at times) tried on everything my closet. It was humbling, yet liberating. It may not be beautiful, but I used storage tools I already had. My goal was not to fit as much in the closets as I could, but to rather store only what I love and put it where I can find it with ease. 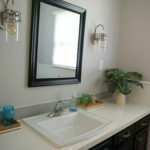 If you have a small closet, sometimes adding an extra bar can give that extra space you need as shown here. 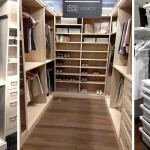 Albeit that works better with kids closets, in my experience. There are some great ideas and examples in the book you’ll love! 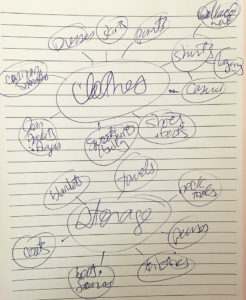 In order to fit ALL clothes and shoes into one closet, I started by mapping out what goes where. 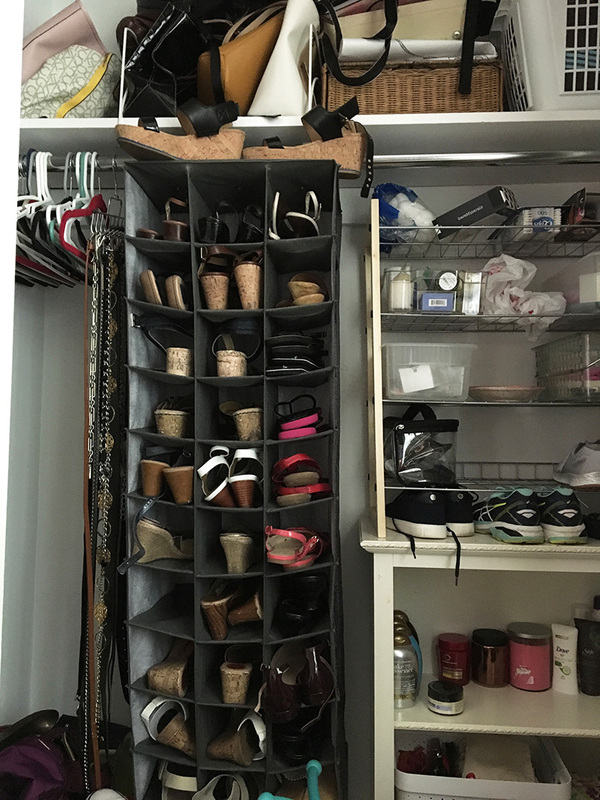 One closet would be home to all clothes and shoes, regardless of season. 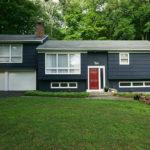 Out of season items would go to the far right of the closet, making it easy to move them back to center stage with the next weather transition. The other closet would store purses, winter coats, toiletries, towels, and throw blankets/pillows designated for the bedroom. My secret to organizing ANYTHING is to create a cluster diagram, even if I’m the only one who can read my writing. 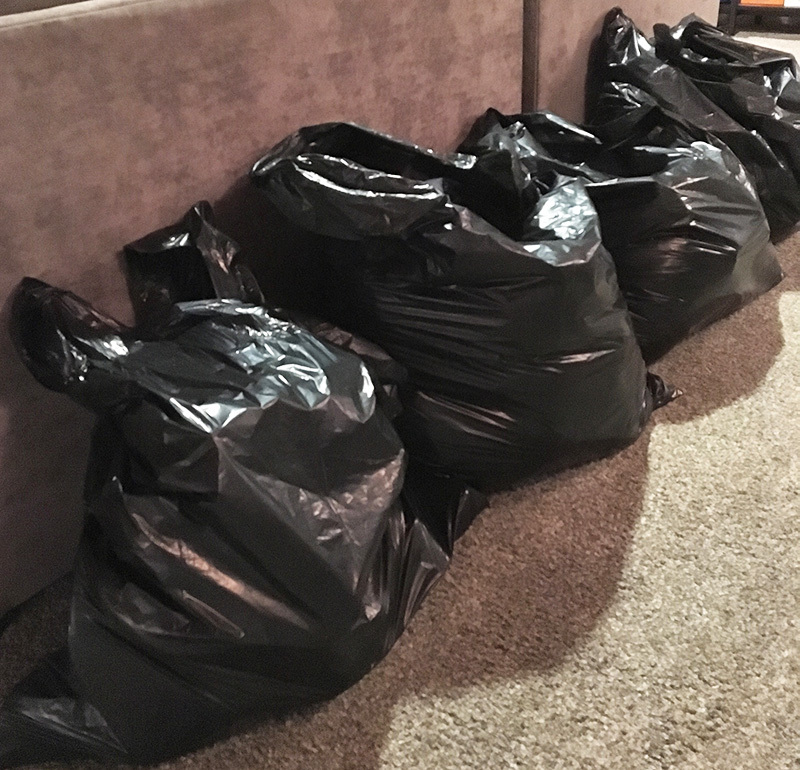 After a day of tears after trying everything on in my closet, then frustration as I had to say goodbye to some trusted old friends, I looked at what I had purged, and felt fantastic. Free, even! 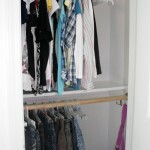 My closets, while not beautiful, are highly functional. That’s a huge deal when you’re rushing to get out the door. I’m excited about the time I’m saving in making morning decisions. 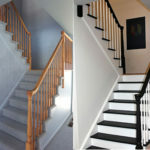 I’m also thrilled that I’ll no longer need to drag bins up the stairs seasonally! For more organizing ideas, visit my organizing archives. With the tips from the REAL SIMPLE editors, I feel good about my ability to keep this space organized. In fact, I’m looking foward to another round of purging in the spring. I’m far from the Capsule Wardrobe concept, but with each pass, I find that I feel more free. While I was given a copy of the book to review, I’m so excited to get you a copy too! I’m giving away a copy of REAL SIMPLE’s book – enter below by Monday, September 24th! Nice article. I only have two problems…my daughter and my wife. Getting them to agree on discarding anything is harder than getting an agreement on an international treaty. 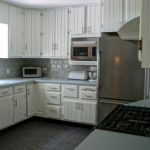 My biggest challenge in organizing my home is that I don’t like to throw many things away. I always end up needing something I just threw out. So if I even think for a minute I could use it later, I save it. Totally get that! I guess it comes down to cost (mental and actual) of keeping things around “just in case.” I have a talent for pitching things a week before I need them. But if that’s just 10% of what I purge, it’s still worth it for mental peace! We are downsizing so this would be perfect ! My challenge is myself! I have always been a disorganized person. My husband is the exact opposite. I need to learn and maintain a successful method of keeping our shared spaces organized, he should not have to accommodate my disorganized ways in the spaces we share. Opposites attract, don’t they! I wonder if there are organizational mediators out there for such disputes. Good luck! My husband would LOVE for my sense of organization to be realized! He is such a neatnik and cannot understand how I can live in what he calls “your static state of disorganization”. I’ve tried to explain to him how foreign having every little thing organized feels to me, how confining it seems. I know I need to put forth a method and the effort into organizing our shared spaces. This is a good place to start and the book might be just the thing to help me succeed! Isn’t that the worst? The more “paperless” our society becomes, the more paper ends up on my desk. I don’t get it!